Photo courtesy of Drunken Monkey at Flickr.com. 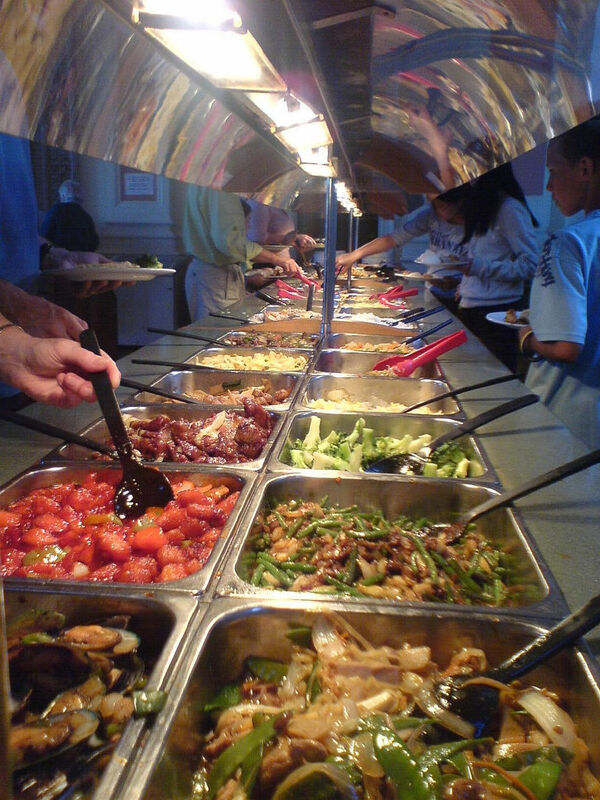 When you visit the buffet line, how often do you think of the planet? If you visit the cafeteria on a regular basis, the choices you make can really add up. At the soda fountain, are styrofoam cups the only option? 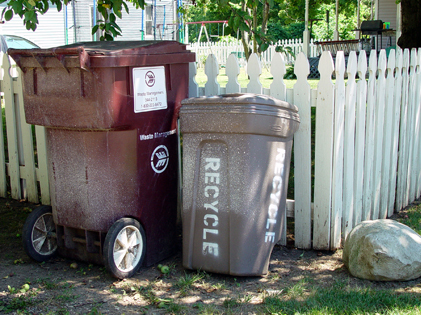 Each cup weighs about 10 grams – that means a cup a day adds up to about 5 and a half pounds of styrofoam per year. You can keep that styrofoam out of landfills by bringing in your own cup, or suggesting that your cafeteria offer re-usable cups (you might even be able to get a promotion – just point out how much the company can save on materials and waste disposal costs). The way that you fill your plate can also make a difference. If you fill your plate halfway and then go back for seconds on a fresh plate, that doubles the amount of water needed to wash your dishes. 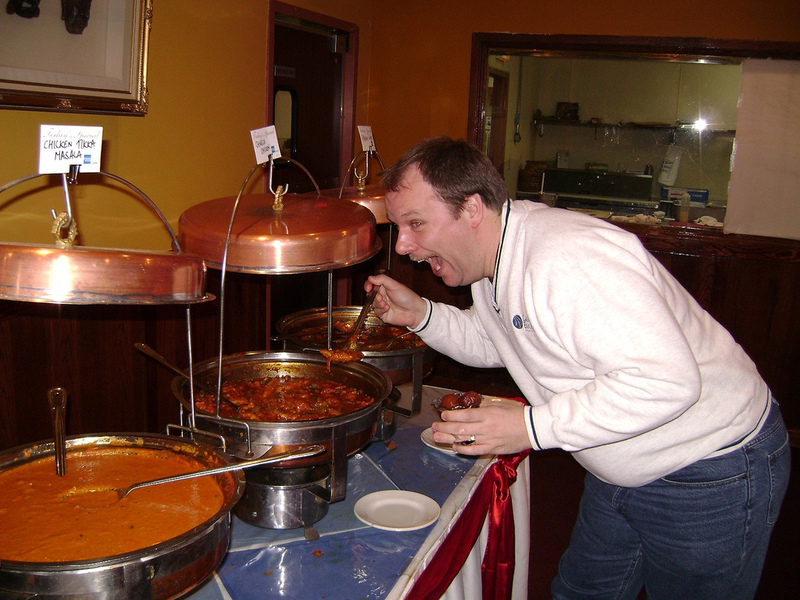 It’s best to make just a single trip and give your stomach time to settle. That way, you wont be in the middle of eating a second plate when your hunger runs out. Wasting food can have a huge impact on the environment too – for example, a quarter pound burger can take 100-1,300 gallons of water to produce. Some college cafeterias are even getting rid of lunch trays. By eliminating trays, they expect to save megawatts of power and millions of gallons of water that are normally used to wash the trays. There’s also a hope that diners will be encouraged to take smaller servings from the cafeteria line, reducing waste, overall food costs, and health issues related to weight gain. Photo courtesy of Tkrecu at Flickr.com. Next post: Link roundup. Interesting eco news stories.